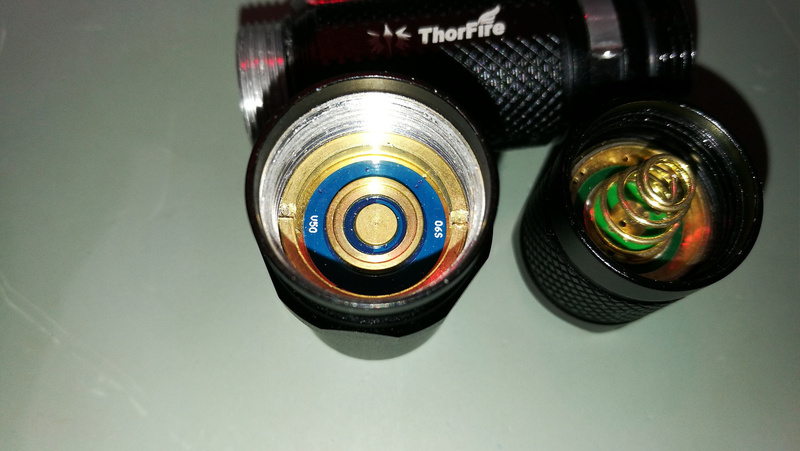 This is a review about Thorfire TG06S. 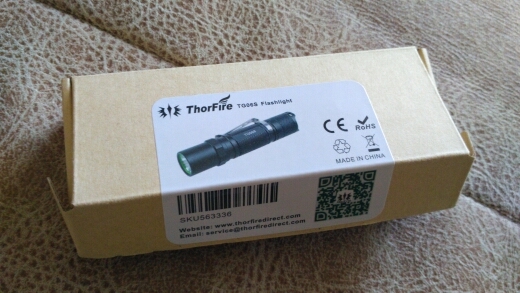 I got it kindly from Thorfire direct. 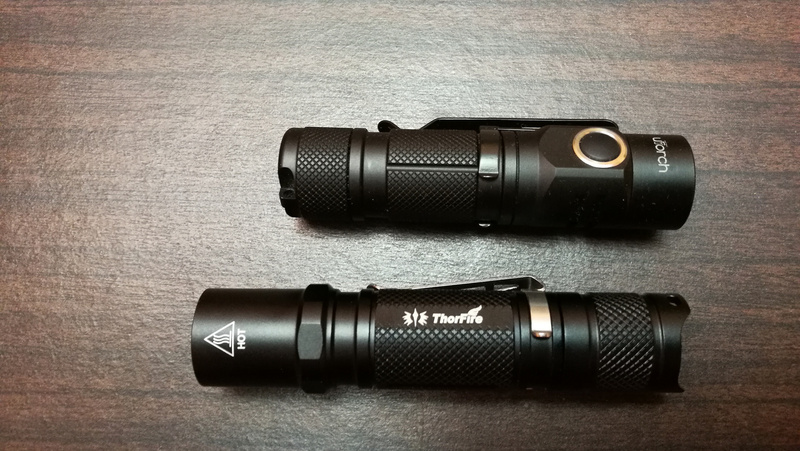 They sent me the light and I make a honest review for it. 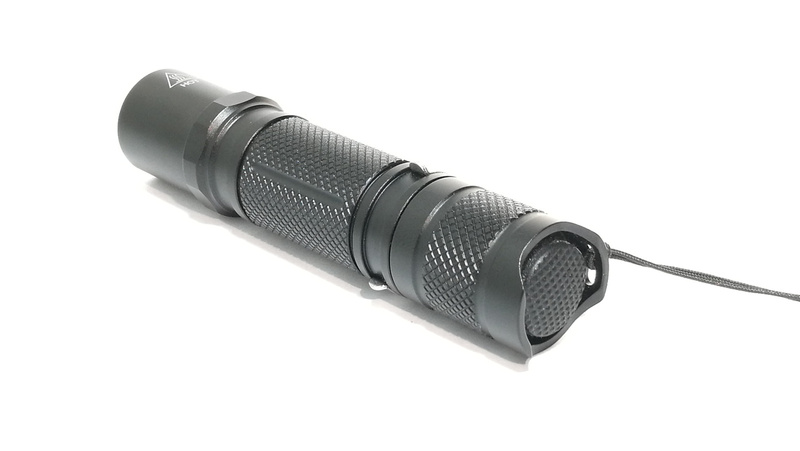 The flashlight uses Cree XP-G2 led and the factory data claimed 500 lumens with 14500 li-Ion battery and 150 lumens with AA non rechargeable battery. It only accepts button top batteries. It came with two spare O-rings and a lanyard and a user manual in a cardboard box. It has four modes plus a hidden strobe mode. My biggest problem with it that it is always starts on high and it has no mode memory. So it is good outside and for an EDC in your pocket but to leave it next to the bed and at night you want to go out of the room and BAM! 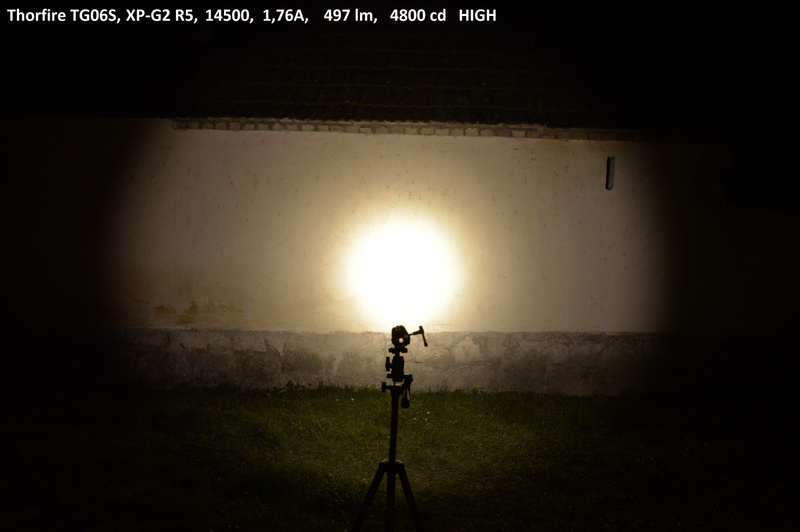 Blinded by the 497 lumens. So that is not the best. For the strobe you need to quick double tap the switch from any mode. 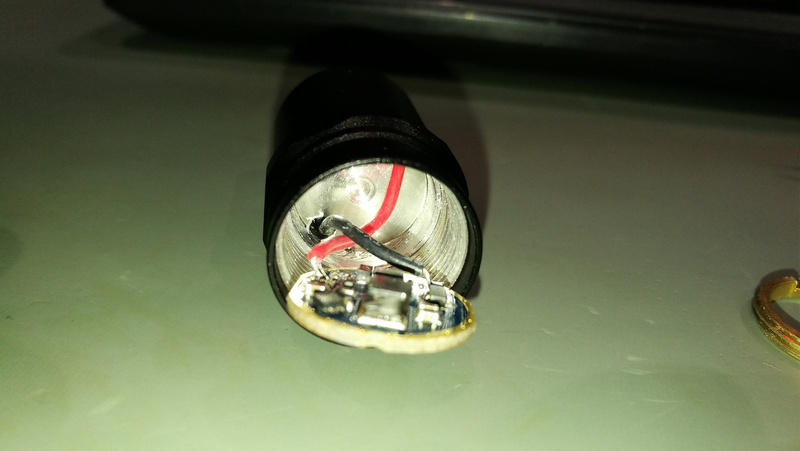 I measured it only with Solder blobbed unprotected PKCELL 14500 Li-Ion battery. 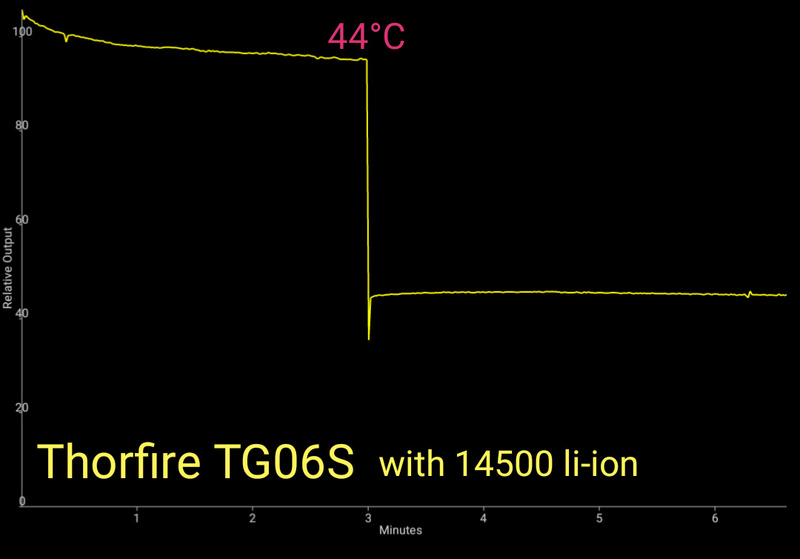 It has a turbo stepdown with lithium battery as you can see it stepped down to about 40% after 3 minutes. At 3 minutes I measured 44°Celsius on the head warmest point. The stepdown is instant and noticable. -Size: 95,85 mm length and 22mm thickest diameter on head. The switch is an Omten type 1288 switch. The spring has some coating on it. And it is stainless steel. 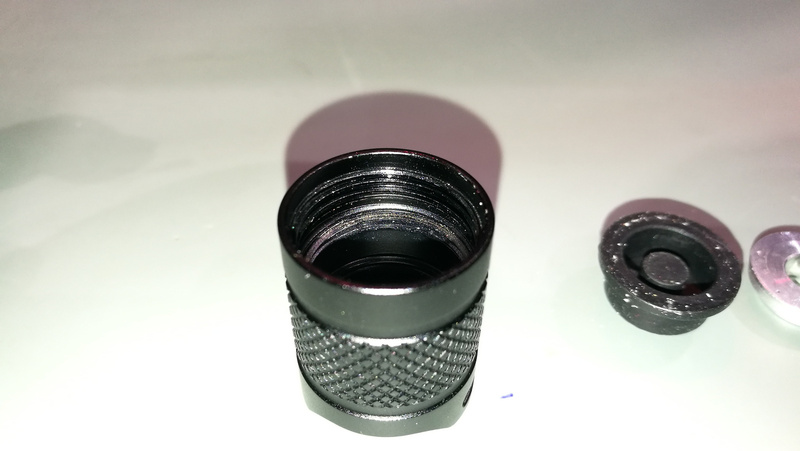 The switch board retaining ring uses separate thread from tailcap. 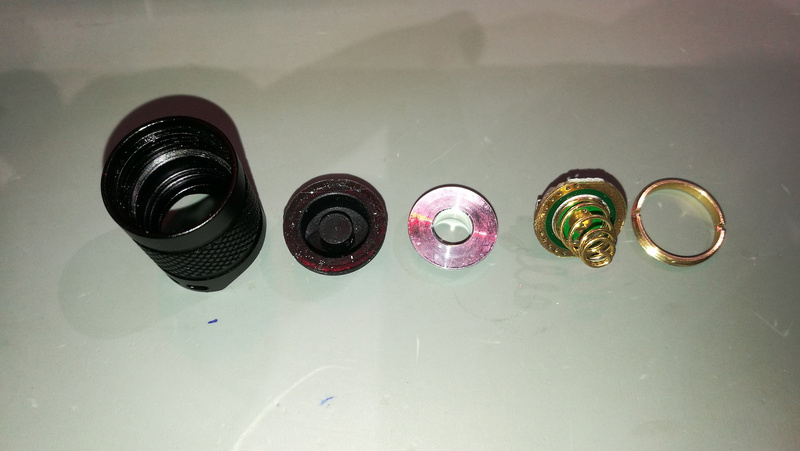 The rubber switch boot is 14mm diameter and it has a very soft material like in VG10S and VG15S. 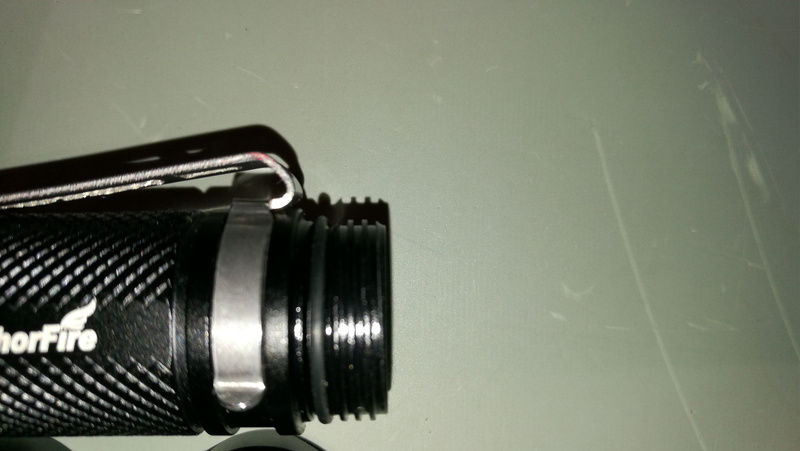 The tailcap has two lanyard holes so you cen put in lanyard and the light still can tailstand. On the head side it uses regular threads. Buton the tailcap side it uses square threads. 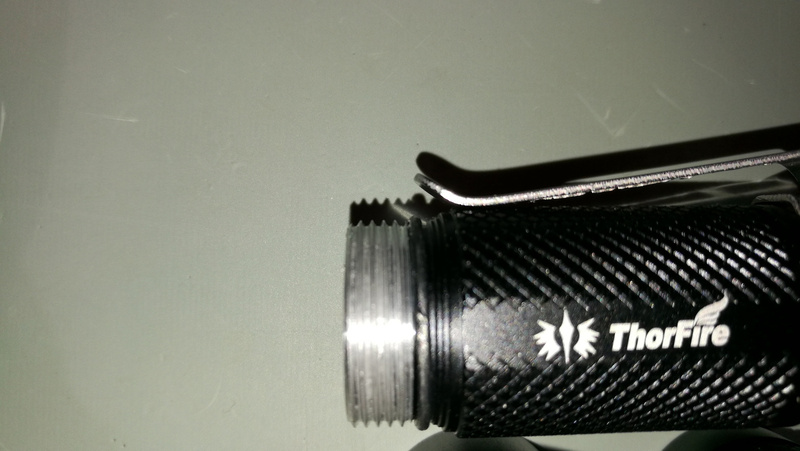 The thread on the tailcap end is anodized so you can lockout the light mechanically here. 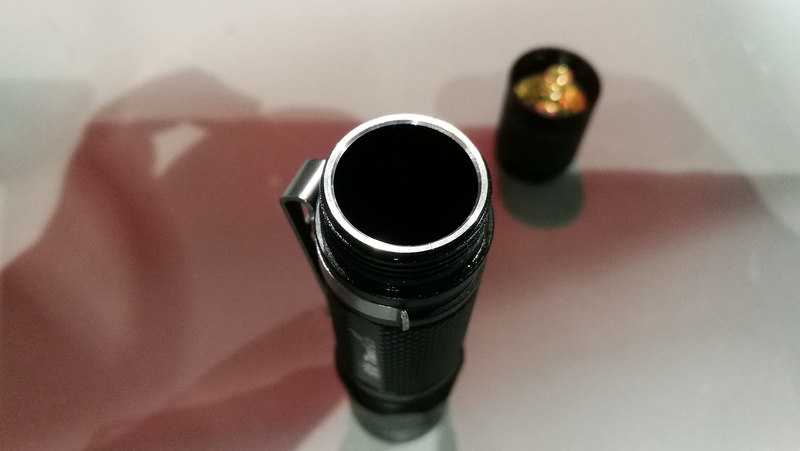 The tube end is nicely chamfered and no sharp edges anywhere on the whole flashlight. It has a very firm and secure stainless steel pocket clip. 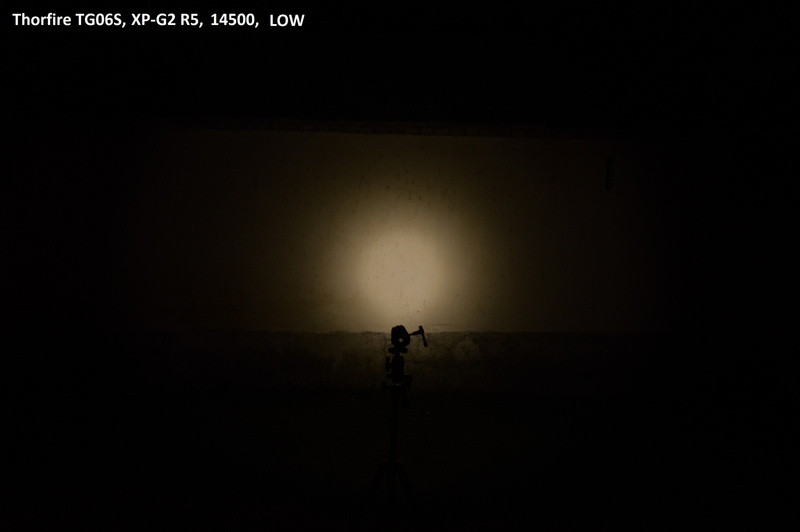 The style is same as on Eagle eye X6 and Convoy S8 and some other lights. You can put it on the head in reverse and use it as a cap light. The knurling is nice and not slippery. The tube has O-rings on both sides so the waterproofness guaranteed. And the threads came well lubed. It has glass lens without AR coating, and a smooth reflector. 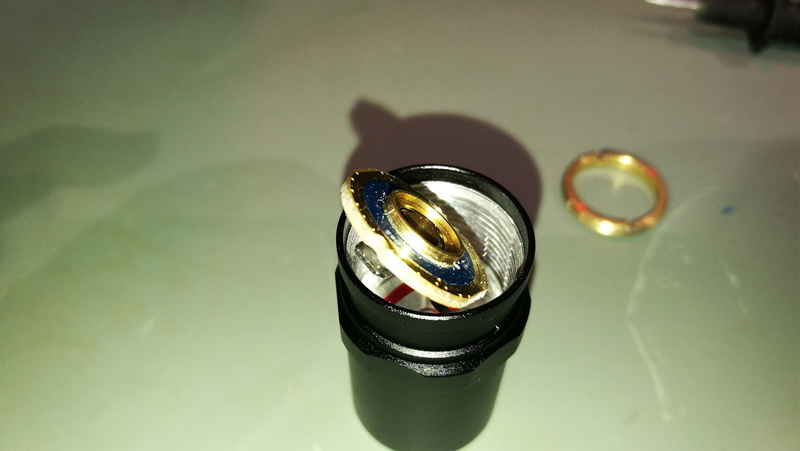 The glass has O-rings and the head has a hexa design part which for anti rolling. The driver accepts only button top cells sadly for me. but I solder blobbed one flat top to fit. The driver held in by a retaining ring which uses the same threads as the tube. The led shelf is a thread in type so it presses the MCPCB to reflector and lens and the O-ring in front. 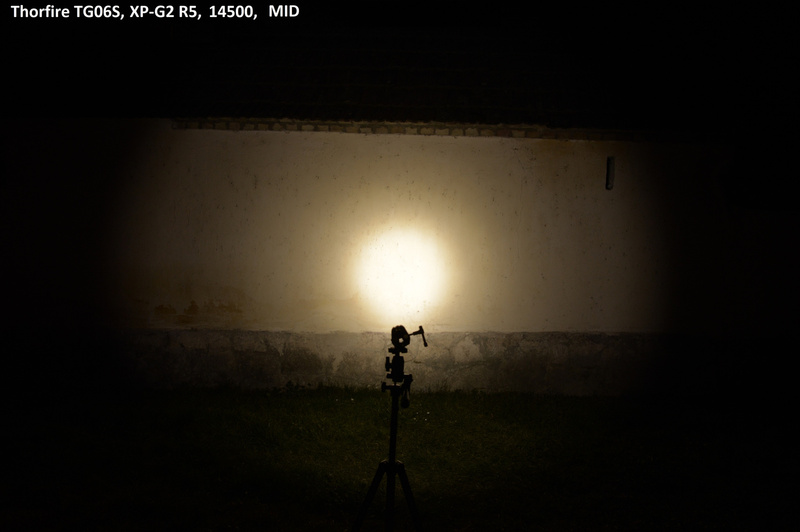 Beamshot is dim because that is the setting how I shooted my all flashlights for my big flashlight measurement and beamshot collection. 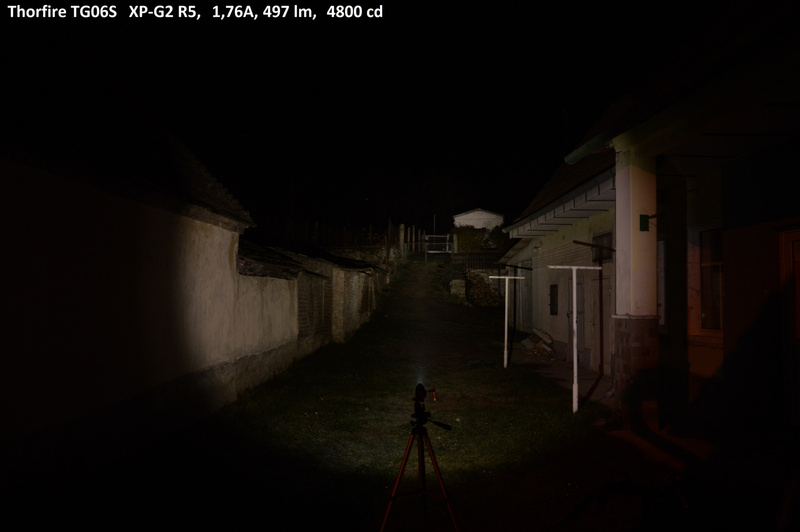 Please open my google tables and you can compare data and beamshots with a lot of other flashlights. So in person it is brighter. 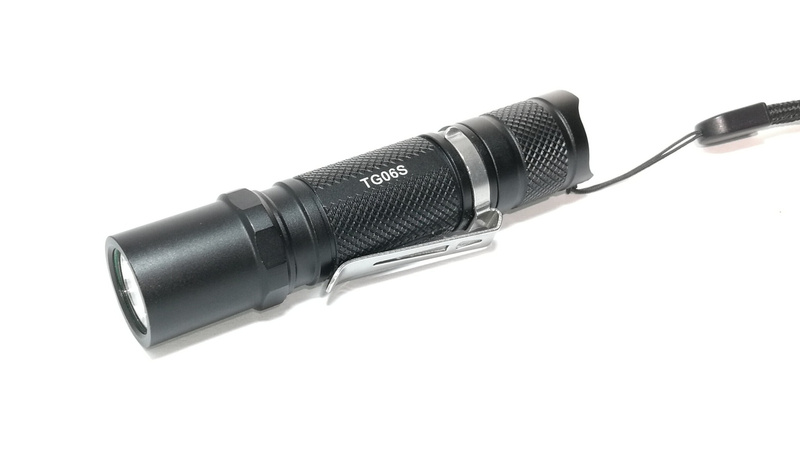 It is a pretty bright flashlight for its size and It throws as far az 2800mA convoy S2+ lights because of smooth reflector and small XP-G2 led. And it has overall good quality and machining and anodization. Just that start on high without mode memory bugging me. 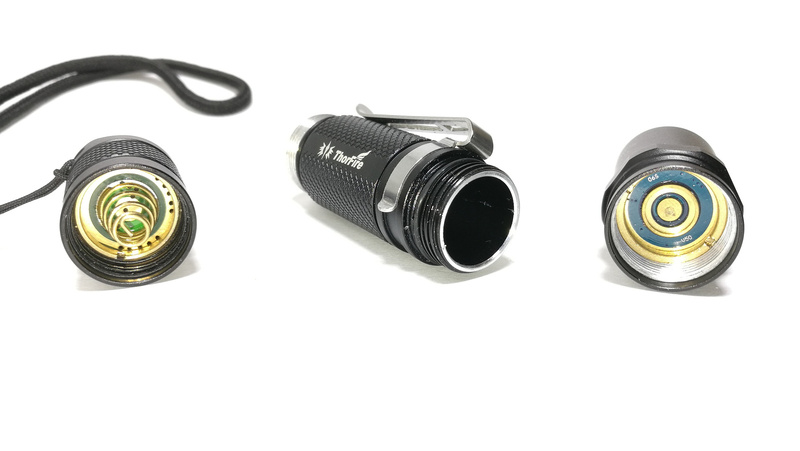 And I think it is a good alternative of UT01 for those who don’t really like side switch or it is a pretty head to head for Lumintop TOOL AA but I haven’t got a TOOL AA yet to test. Thank you for reading through! Is this review that bad? I added more photos from the modes near to a wall. How was the PWM on your sample? I don’t measured it with anything but I didn’t noticed it so it is not bad. If you get chance, try it on a moving object, such as a spinning wheel or fan. 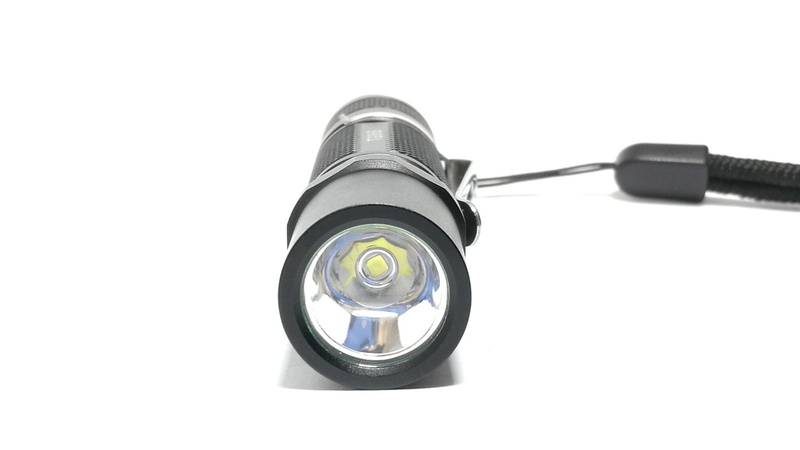 Sweet, been looking for more reviews on this light!!! 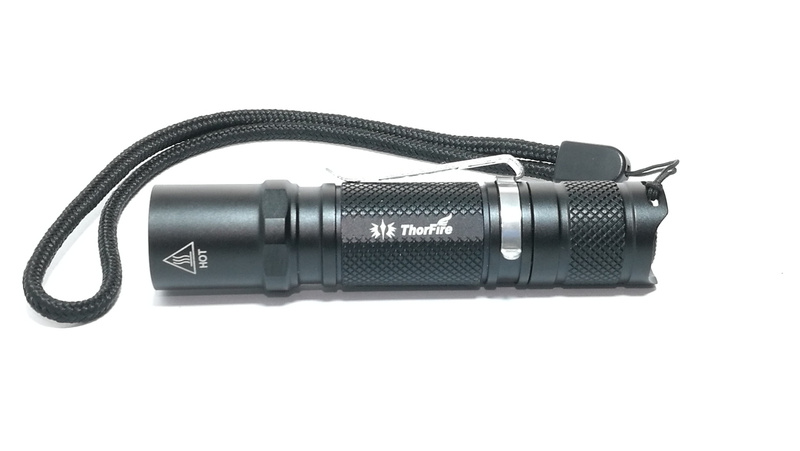 Can’t decide between this or the Thrunite T10. Then i learned about the Tool AA, so i’m still deciding!!! Every review helps though!! Thanks Zozz!! Thanks. If I got a Tool AA from somewhere I will test it. Like the review, hows the tint, looks nice and warm by the piccys? The wall is a little yellowish so maybe it is tricking you. It has about 5000-5500K Neutral -ish tint. Somehow I missed it on the initial release. 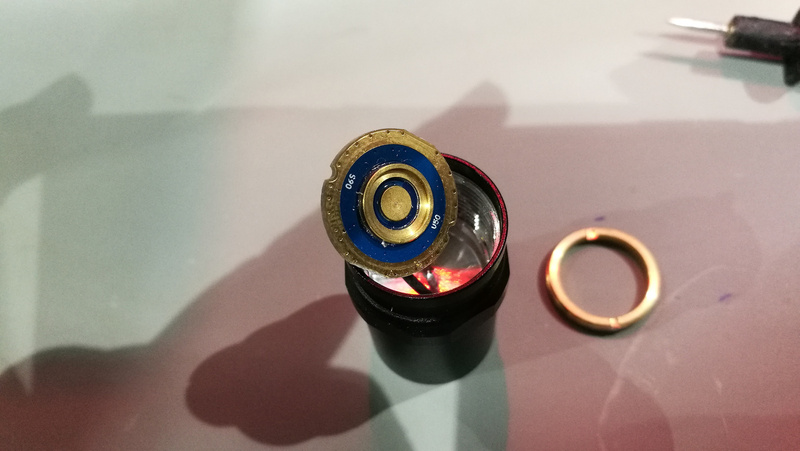 I want to remove it too but I thinking about to start a giveaway soon because I had left 1000 posts a while now and I will be giving away this flashlight and a 3D printed surprise. So I will keep it stock. I missed my 1000 as it was bad timing. May try to make up for it @ 2000 (SOOON) but here in USA, it is kinda Expensive to ship outside USA as it may cost way more than my gift. So I can understand if you keep it within your continent. But I am anxious to see what the printed item is. Not a big secret. 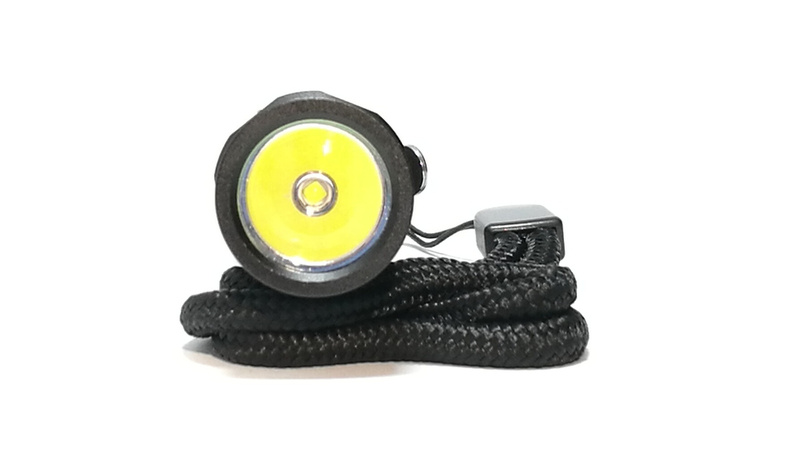 Lens cap for a choosen flashlight with unique text what the winner wants. 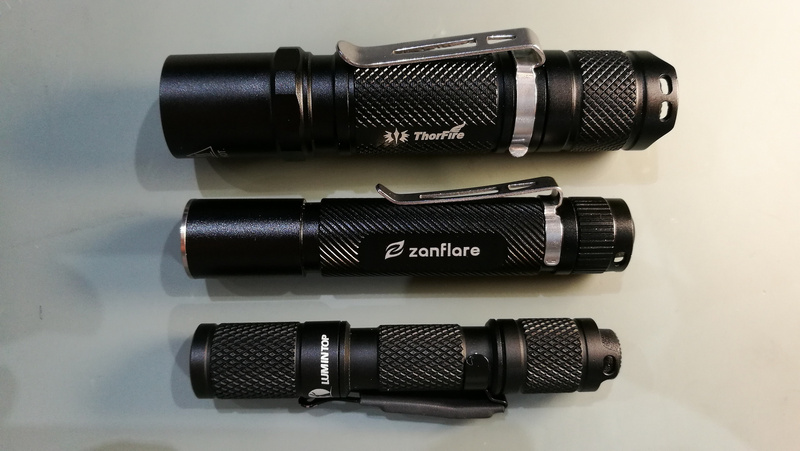 The flashlight need to be what I have too to try fitting after print to avoid size problems. Thanks for the review. What is the diameter of driver? Great news! 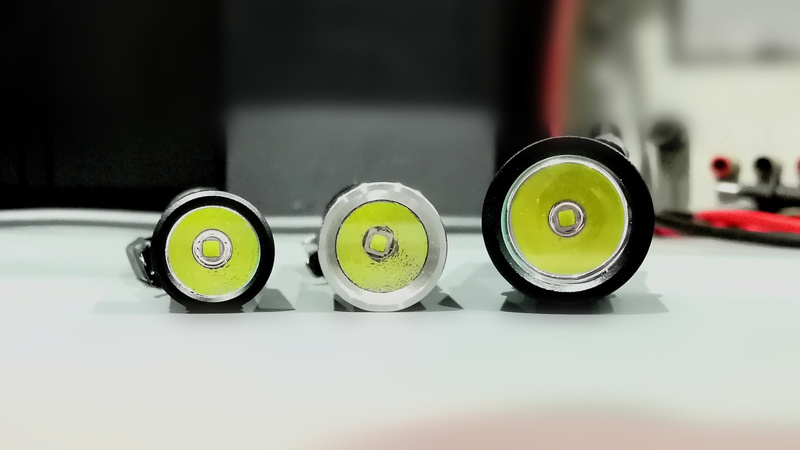 it is 17mm so if you want to use 14500 battery you have plenty of options. 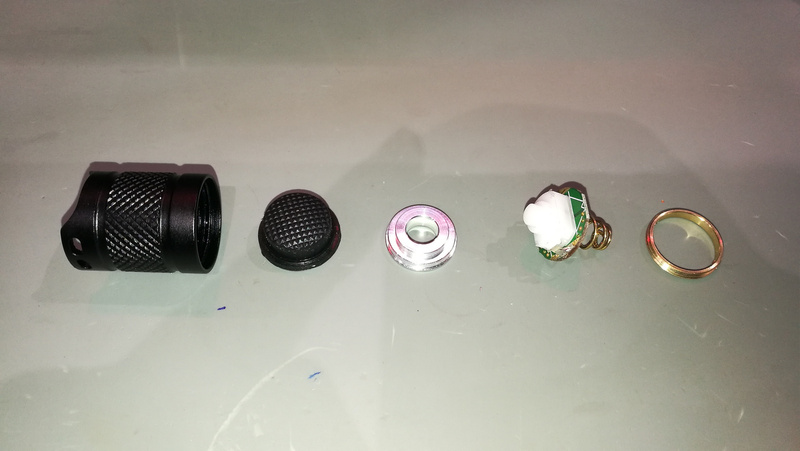 The only thing you need to use one sided driver and instead of a spring use a flat brass button or solder blob on driver for positive contact.. I don’t know why I missed to measure that. 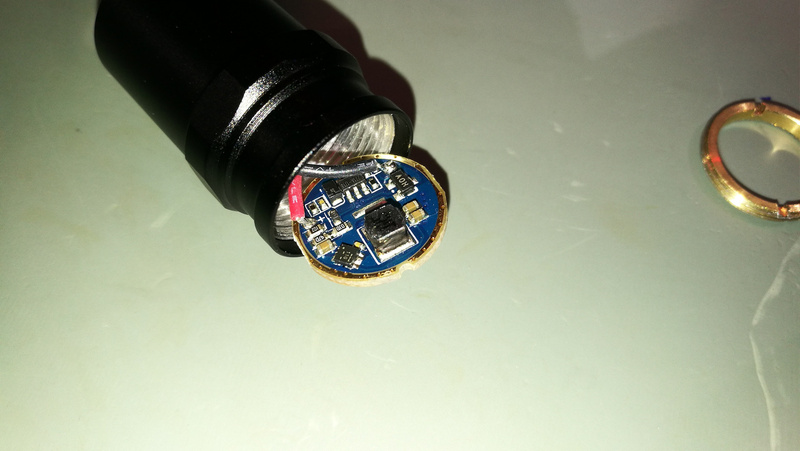 Another interesting thing is that in other review driver seems to be 12mm. So I don’t know which version is currently sold.